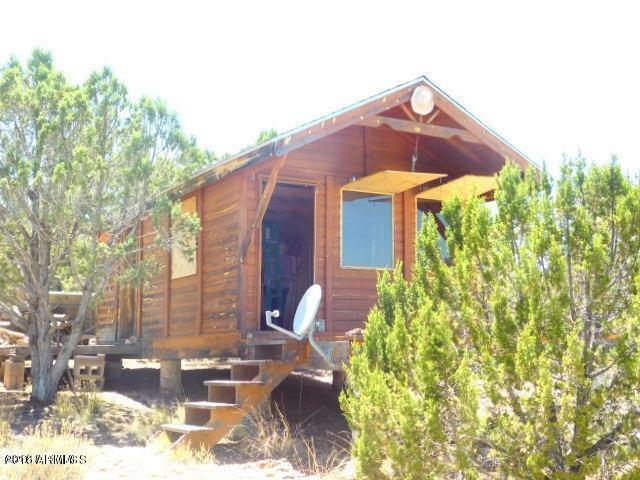 Nestled among mature pinon pines and junipers you will find this almost 4 acre property. Consider this as your definition of quiet seclusion. The hunter's cabin and storage shed are a bonus to what this property has to offer. Off grid living can be easily achieved or rough it just the way it is. There are two decks in place for your viewing the mountains and the heavily treed landscape that add to the privacy this acreage offers.